Use for outside pockets on packs, IOTV vests, molle gear or places where you want a durable, breathable fabric. Larger holes than the TP21. Made in the USA. Sold Per Meter. Duties and Taxes Included. Multiple meters cut as 1 piece. 70 Denier (120 gsm) ripstop nylon with a lighter, "Ravel" 8.5 gsm coating of polyurethane. The coating keeps the fabric from raveling and is a down barrier. It has a durable water repellent finish and is still very water resistant. Used by the US Military for liners and stuff sacks where a lightweight ripstop is preferred but where strong water resistance is not required. Lightweight, flexible, waterproof 200 Denier nylon oxford fabric. Sold Per Meter. Duties and VAT Included. Multiple meters are cut as 1 piece. This is the "elephant hide" of the outdoor fabrics. Typically created from 400 Denier nylon yarns, this High Density fabric is as tough as leather or vinyl. Sold Per Meter. Duties and VAT Included. Multiple meters are cut as 1 piece. Sold Per Meter. VAT and Duties included. Multiple meters will be cut as 1 piece. This modacrylic fabric was made with DRIFIRE® technology. It will not drip or melt when on fire and is self extinguishing. It will stop burning as soon as the flame is removed. Furthermore, the FR will not washout. Two-way stretch. Sweatshirt weight. 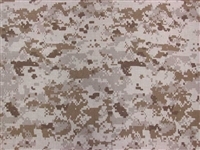 This is a lightweight nylon/spandex Agility fabric printed in MultiCam® camouflage. There is a small amount of 2-way stretch in the fabric, making it a nice fabric for running or cycling shorts, hiking shorts, or any garment where you want a bit of stretch and breathability. Nice DWR finish to repel stains and water. This is the US Army's new Operational Camouflage Pattern (OCP) also known as Scorpion W2. This new pattern will replace the ACU pattern. This is a true 500 denier CORDURA® nylon fabric made to mil-spec MIL-DTL-32439 Type III, Class 3, Style A. Sold Per Meter. Duties and VAT Included. Multiple meters are cut as 1 piece. Sold by the meter. VAT and Duties included. Multiple meters are cut as 1 piece. 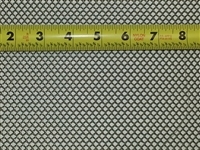 1000 Denier (1000D) Coated Mil-Spec Nylon Fabric. 1000D Mil-Spec nylon material is a versatile nylon fabric with more strength and bulk than No. 7 Duck at little more than half the weight. 1000D Mil-Spec Nylon is a textured nylon for a natural spun-like appearance, with excellent resistance to fading, abrasion, rot and mildew. Quick drying, and highly water repellent. 1.5m wide 1000 Denier coated Low IR Mil-Spec Nylon Fabric in US Digital Desert camouflage print. 1.5 m wide true 1000 x1000 Solution Dyed CORDURA® Coated Nylon fabric. Meets Mil-Spec 3243A Type 1, Class 3 with nIR and US Berry Compliance. Available in tactical colors. We stock 500D mil-spec, coated MultiCam® camouflage nylon in five camouflage patterns: Alpine, Arid, Black, Standard and Tropic. Available in 1m increments. 1.5m wide 1000 Denier coated Low IR Mil-Spec Nylon Fabric in traditional Woodland camouflage print. Sold by the meter. Duties and VAT included. Multiple meters are cut as 1 piece. 1.5m wide 1000 Denier coated nylon MultiCam camouflage fabric with a durable water repellent finish. Sold by the meter. Duties and VAT included. Multiple meters are cut as 1 piece. This is a really nice green digital camouflage pattern used by the Mexican Army. This is 1000 denier polyurethane coated nylon with a durable water repellent finish. It is made to mil-spec GL/PD 10-07 Type 1, Class 3. Slip-Not is a unique fabric that holds up strongly to wear and abrasion while also offering grip and non-skid in both wet and dry conditions. Sold Per Meter. Duties and Taxes Included. Multiple meters cut as 1 piece. Sold per meter. Duties and VAT included. Multiple meters will be cut as 1 piece. This is a Ballistic Nylon fabric with a polyurethane coating on the back and durable water repellent finish on the front. It offers exception abrasion, puncture and tear resistance. It is often used for applications like soft-sided luggage, packs, knee, seat and calf strengthening on work wear, motorcycle chaps and apparel, office furniture, work and tool belts, and other items where abrasion resistance is a key characteristic. Ballistic nylon fabric is typically a 2x2 basket weave which provides a rough fabric texture. Contrary to the name, "Ballistic" nylon is not bulletproof. 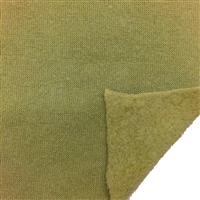 This is a Polartec (Malden Mills) fleece that is often used to add warmth as a jacket liner. Polartec's 100% polyester fleece has superior warmth to weight ratio, dries quickly and resists "pilling." 330 denier MultiCam® urethane coated with DWR. Laminated to 1/16” open cell foam with 70 denier olive drab on back side. X33 uses a 330 denier CORDURA® nylon in the standard MultiCam camo pattern. The combination of X-Pac™ Ripstop Polyester, Hydro State waterproof construction technology, and 3300 denier nylon fabric face provides an extremely abrasion resistant, waterproof, tear resistant fabric. Sold by the meter. Duties and VAT included. Multiple meters are cut as 1 piece. X50 uses a 500 denier CORDURA® nylon in the MultiCam Black camo pattern. The combination of X-Pac™ Ripstop Polyester, Hydro State waterproof construction technology, and 500 denier nylon fabric face provides an extremely abrasion resistant, waterproof, tear resistant fabric. Sold by the meter. Duties and VAT included. Multiple meters are cut as 1 piece.